As low as $7 for $24 Worth of Gourmet Coffee! 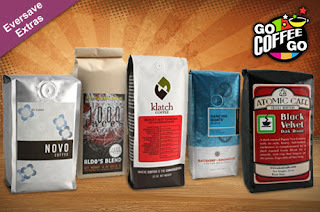 Today at Eversave, you can get $24 worth of coffee from GoCoffeeGo.com for only $12! New Eversave shoppers get a $1 credit, making the deal only $11. Also, anyone who purchases and shares the deal will receive $2 in credit to use on a future purchase.